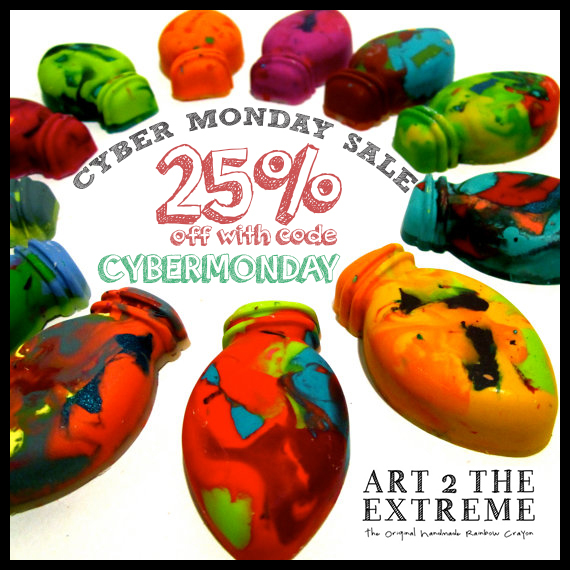 Make sure you head over to our Etsy shop to save 25% off your total order TODAY ONLY! This will be our last big sale and code before the holidays. Our Original Rainbow Crayons make great stocking stuffers and Advent calendar treats for all ages! Thank you for shopping handmade this holiday season and we appreciate your support. © 2018 Art 2 The Extreme™, All Rights Reserved.